the technological developments evident in every nook and cranny of cycling garmentage is readily apparent. 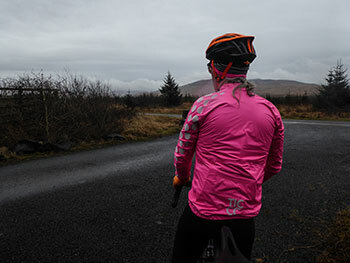 as an extreme, those woollen jerseys of yesteryear, prone to dragging on the rear tyre at the faintest hint of precipitation, are but distant memories. modern-day wool is culled from an altogether more weather-friendly breed of sheep. agreed, a merino wool jersey is no more likely to keep you dry in the rain than its predecessors, but for now, at least, that rear tyre is safe from woolly fluff. but, when it comes to weatherproofing, the horizon is less inclement than was previously the case. the good old 'sou'wester' will undoubtedly continue to keep the elements at bay, just don't mention the word breathable. for that, we have layered membranes, durable water repellency and flexibility that the old skool could only dream of. but, if you're anything like me, donning a new waterproof jacket prior to heading into the maelstrom, is still an act filled with trepidation. no matter the marketing blurb that accompanies any new waterproof jacket release, rarely does the professed breathability equal that of even the least active cyclist. and even if it does, there's the not insignificant possibility/likelihood that the water outside has now become the water inside. creating a truly breathable/waterproof jacket that lasts well past the first few washes, must surely be considered the holy grail of garment research. despite my recent protestations regarding the apparent serial release of bibshorts so early in the season, when the more prudent amongst us are keeping those calf muscles well covered, in at least one corner of the uk, sense continues to prevail. daphne and andrew at this is cambridge have just released their first waterproof jacket and are no doubt experiencing similar trepidation to that which preceded my first outing, clad in their (very) bright pink and reflectively spotted jacket. the tic italian-made, yet un-named jacket (i'm going to refer to it as their 'omloop jacket' because there are other products in the tic range that share that name. given that it's classics season, that seems most appropriate. ), is fabricated with a direct-vent membrane. this means that its breathablity never switches off and is not dependent on the outer fabric first becoming wet. i will point out that my initial outing did not take place in sweltering heat, so i did not overly trouble the breathability factor, but i did give the waterproofing a really hard time. i am very much in favour of suffering for someone else's art, so the notion of heading out into galeforce wind-driven horizontal rain for a couple of hours or so, is not something that i experienced for the first time. to place all this in some sort of perspective, the bicycle currently wearing a pair of 64mm carbon-rimmed wheels, was quite literally preparing for take-off and had to be swapped for a more conservatively wheeled bicycle. and even that gave occasional cause for concern en-route to a good soaking. far from easing at any point of the parcours, the rain simply became heavier and heavier, while the wind strengthened mightily. up here, it's called weather; down south, it was known as 'storm freya'. 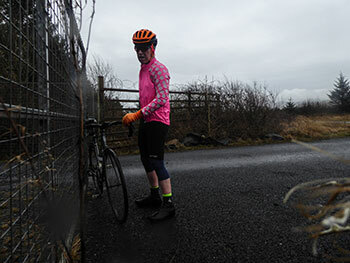 on arrival at my lunchtime feed-stop and divesting myself of big pink, the long-sleeve tic jersey beneath was dry. yes, actually dry, with no sign of rain ingress or perspiration. the journey home was, if anything, considerably worse, heading pretty much straight into a 75kph headwind with attendant horizontal rain, not to mention the seriously drifting spray from passing vehicles. i apologise for the melodrama, but it really was wet and windy. that eye hurtingly pink jacket (also available in black) will dispel any propensity for a smidsy situation. the fit is particularly good, allowing excellent freedom of movement while obliterating any likelihood of flappery. the full-length front zip hides an internal storm flap towards the top. this is cambridge have apparently omitted any rear pockets in favour of a flap that allows ease of access to jersey pockets beneath. i see where they're coming from, but the phrase 'ease of access' is an entirely subjective term. personally, i'd prefer three rear pockets, but if i'm honest, i'm not sure they're an absolute necessity on a rain jacket in the first place. once again, on a personal note, i want a rain jacket that can be carefully and neatly folded to fit in a rear pocket when the weather clears (a little hebridean humour, there). 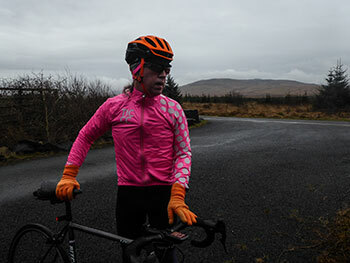 tic's omloop jacket facilitates that desire to perfection. having given it a thorough thrashing, this is a jacket that's brilliant in every sense of that word (always assuming you opt for the pink edition). 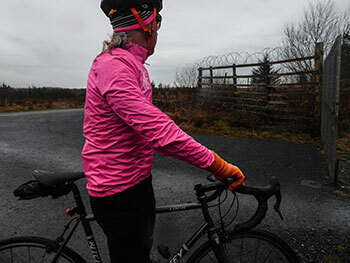 this is cambridge's (omloop) wind/rain cape is available in bright pink or black, in sizes ranging from xs to xl at a retail price of £185.